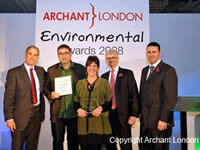 Environmental champions from across London and the South East attended the inaugural Archant London Environmental Awards on Friday 10th November. 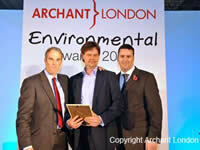 The World Land Trust (WLT) is delighted that two of its corporate supporters received awards on the evening: The Environmentalist Business of the Year winner was Chest of Drawers, a company which has carbon balanced through WLT since April 2007, and Chris Jenkin, Managing Director of WLT's longest serving corporate Sponsor, Enterprise Plants, received the Environmentalist of the Year Highly Commended. Congratulations to both.